Home / Alex J. Szabo, O.D. Dr. Szabo is a 1972 graduate of West Tech High School. He received his Bachelor of Science degree in biology from Cleveland State University in 1976, and his Doctorate of Optometry degree from The Ohio State University College of Optometry in 1981. He is a member of the American, Ohio, and Cleveland Optometric Associations, and is also a member of the Epsilon Psi Epsilon Professional Optometric Fraternity, and the Beta Sigma Kappa Honor Fraternity. 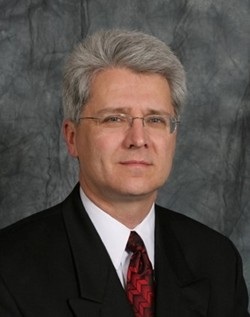 Dr. Szabo served on the medical staff of HMO Health Ohio in Cleveland for 13 years, and then in 1997, began an affiliation with the practice of James Kershaw, OD Inc. 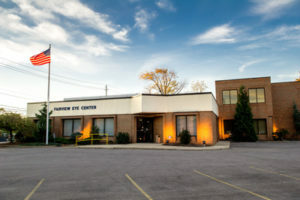 He joined the practice of Fairview Eye Center, Inc. in April 2017 continuing service to his patients. His professional interests include practicing full scope, comprehensive eye care, with emphasis on disease detection and management, and contact lenses. He is board certified in the treatment and management of ocular diseases. In his spare time Dr. Szabo enjoys reading, music, and playing golf. He resides in North Royalton with his wife Peggy, and has a son, Ryan, who currently resides in Marysville, Ohio.